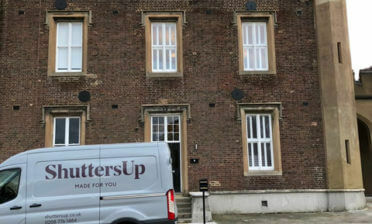 Dan was on hand to install these plantation shutters to this fully restored bungalow in Sidcup, Kent. 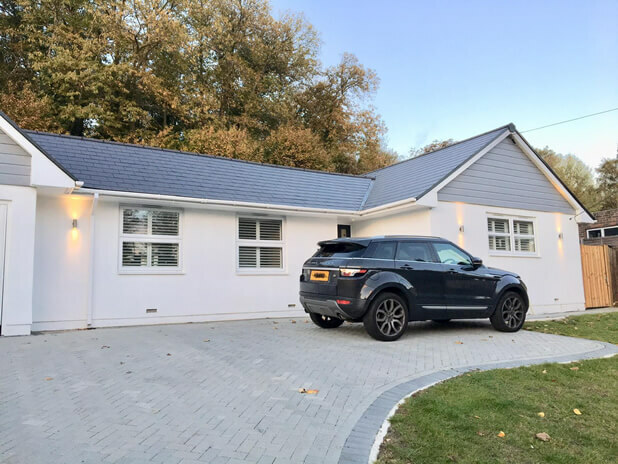 The customer was looking for the ultimate in stile and privacy, as the being a bedroom the bedrooms were on the ground floor and people could see in from the street. 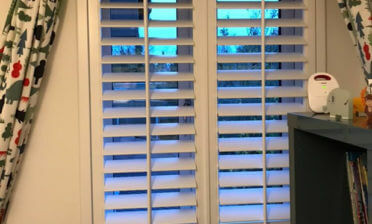 Mark who carried out the survey and measure advised the client to go with shutters that featured 64mm louvres as the smaller slats gave them the privacy they needed while allowing for good light entry. By using thinner louvres the gap is smaller between so harder for people to see in. The shutters were created from our Antigua MDF range which gives a great finish at a better price point compared to our hardwood ranges. 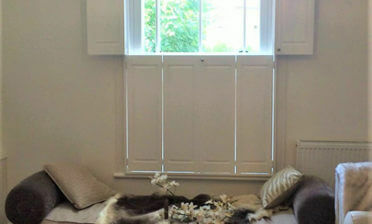 The customer opted for a lovely silk white finish with matching hinges and hidden tilt rod system. The hidden tilt rods allow for a clean, modern look which fits in perfectly with the restoration project!